First off, let?s take a look at what Leadsleap can do, and if it will be a good decision for you to use it. Leadsleap is a traffic exchange, tracker, advertiser, income generator, lead generator, and a blogging tool all in one. 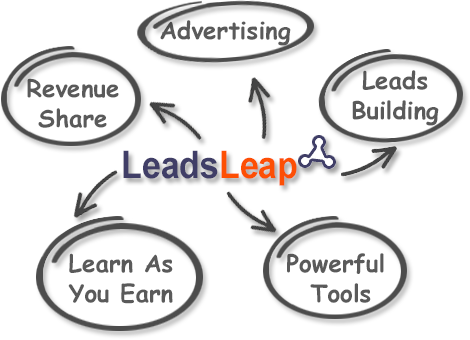 If you need referrals to increase income or credits on other platforms, then Leadsleap will help. If you find the platform you wish to get referrals to is being heavily promoted already on Leadsleap by other members, you may not see as many referrals as something that only you are promoting. I personally have seen lots of referrals to websites that are no to low cost to use, and Leadsleap has been beneficial to those programs. If you operate any website, you want to track what your visitors are doing. It helps you learn what may need to be changed, taken away, or added. Leadsleap offers a very unique tracker that will tell you the pages they visit, how long they stayed, and even tracks their mouse movement. It also can tell you if a visitor is real or a bot. 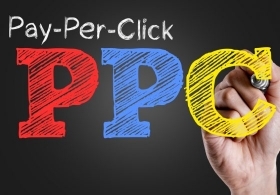 This helps tremendously when you are buying traffic from a third party. You will know who is taking advantage of you and who is giving you real visitors. Leadsleap offers scripts to help you generate leads. By giving away scripts, you can capture leads. I do not personally use it for this reason, as I have better offers that attract even more prospects, and I can get their full information. It is a good place to start if you do not have any way to capture new leads, but I would suggest using the lead program I promote on my banners if you are mostly needing new leads. Leadsleap has a very good traffic exchange program. Especially so for Pro-Members (read below on pro-members). You collect credits for your own personal views to other ads from other members. You then use those credits to get views and traffic to your own websites or pages. The best use of this is to use a capture page (new leads or referrals) or a new blog post you may have written. Leadsleap has a cool widget you can place on any of your websites or blogs, and you will get paid for every click it gets. Similar to adsense, but better. This will display a few ads from other Leadsleap members (random) which also means your ad is getting placed on other websites as well. You will receive a small income from the clicks your widget gets, so place it as many places as possible. This is a great tool to have to collect new leads. You can place the pop-up tool on any blog you own, and when you get visitors it will pop-up and give an offer. You can set it to your own personal wants, and control the pop-up offer. Pop-ups generate about 80% of all my leads on this website, so use a pop-up no matter what you may hear about them. The pop-up you seen on this page was not a leadsleap pop-up however. Yet if you do not have a pop-up ad for your blog, that is enough to need leadsleap alone. So why are you waiting for just click here to access to this powerful web traffic and amazing lead generation system!